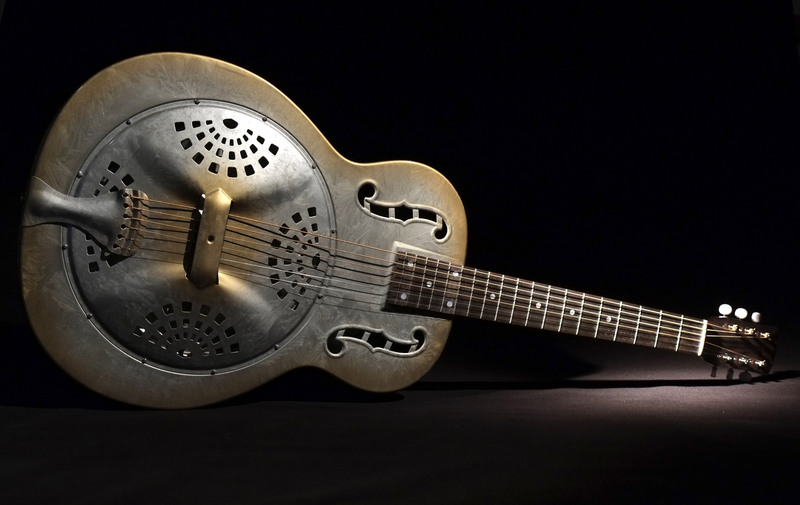 What you see here is a 1937-38 Dobro M32 fiddle-edge refinish in silver with a gold burst. This one has the segmented f-holes in the body. 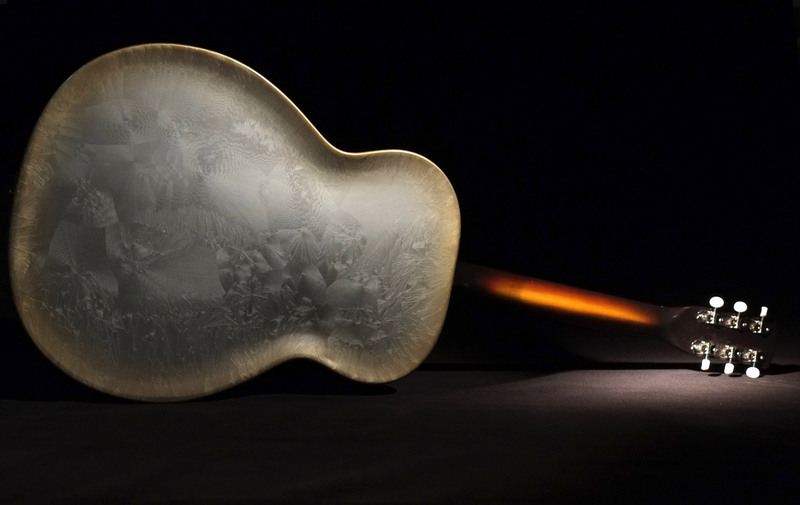 The Regal branded fiddle edges had this detail, but this one was Dobro branded. This body style is less common, but I really like the look of it. The neck is the original basswood with the original fretboard that has been refretted. The headstock on this one is interesting. It is bottle-shaped, with a rosewood overlay. This was the first time I had seen this combination on a fiddle-edge. I’m sure there are more. The silver/gold burst was an original frosted duco color combination occasionally found on fiddle-edges with the f-holes. This guitar didn’t have the original tailpiece (darn!). So I used a modern style replacement and carefully reformed it to wrap around the fiddle-edge lip for a good fit. Then I painted it with the same silver and gold as the body. Looks nice! The original lugged cone and spider bridge are both there,. The tuners are new Stew-Mac vintage style, three-on-a-plate, with a Kluson profile. Thanks for making those tuners, Stew-Mac.